Welcome to this site devoted to the Roman Republic and to books and materials by Judith Geary. Where would you like to go first? 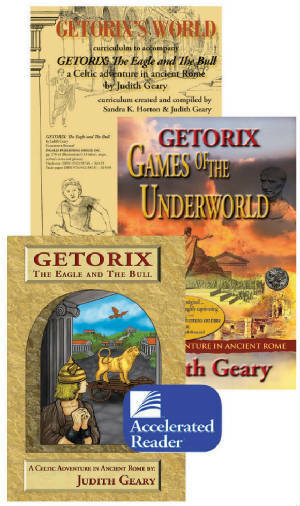 Getorix: Games of the Underworld is available now. Learn more about this latest Celtic adventure in ancient Rome. Guest Book: For more information about books in the Getorix series and materials about the Roman Republic, please sign my guestbook.